You have heard of fake apple accessories such us fake IPhone cable, charger sand headphones. Some of the fake cables are so well made that it is hard to tell apart. But have you recently bought a USB 3.0 Cable. Recently I bought few USB 3.0 Cables from eBay and I mostly used it as a Charging cable but one day I wanted to transfer photos of my Galaxy S5 and to my surprise it was taking forever. I did transfer photos off the phone before with the original Samsung USB cable but as far as I could remember it was pretty fast, and now extremely slow. Same day one of the cable broke and I was trying to fix it and I saw that there were only 4 cables connected and not 9 like it supposed to be. Now I knew that the eBay seller sold me a fake USB 3.0 Cable. The cable looks like a USB 3.0 which is indicated by the Blue connector but in fact it was just standard USB 2.0 Cable. Allot of companies have large stocks of USB 2.0 Cable but there is no more demand for it. In order to minimize their loses they started to replace the ends so that they look like USB 3.0 and adding them to existing 4 wire cables just so that they can unload their inventory. Luck for us there is now a way to tell if you have purchased a fake USB 3.0 Cable, Take a look in the Video. For next time make sure you buy your cable from a good source. Technology moves fast and the most popular device we use are powered and used via USB port. Because I recently bought a USB 3.0 Flash Drive and Memory card reader that runs un USB 3.0 and learned that USB 3.0 has transmission speeds of up to 5 Gbit/s, which is 10 times as fast as USB 2.0 (480 Mbit/s) before taking into account that USB 3.0 is full duplex whereas USB 2.0 is half duplex, giving USB 3.0 the potential total bandwidth if utilized both ways to 20 times that of USB 2.0. Now that I had few USB 3.0 devices I wanted to have a way to easily access the ports without pulling my PC tower to plug in my Flash Drive. So I searched online and found A 7-Port USB 3.0 Hub. I found one on eBay for $25. It’s a USB 3.0 7-Port Powered Hub. The reason I said powered is because It comes with A power supply. There are bunch of hubs that come without a power supply however you need to understand that USB devices consume power and USB port provides limited amount of power. With few USB devices plugged in into a USB hub you will noticed that your computer will throw a warning indicating that some of your devices are not working properly or will show other indication stating that there is a problem. This error or device not working properly is a result that all available power has been used and you need to turn off one or more devices from your hub. 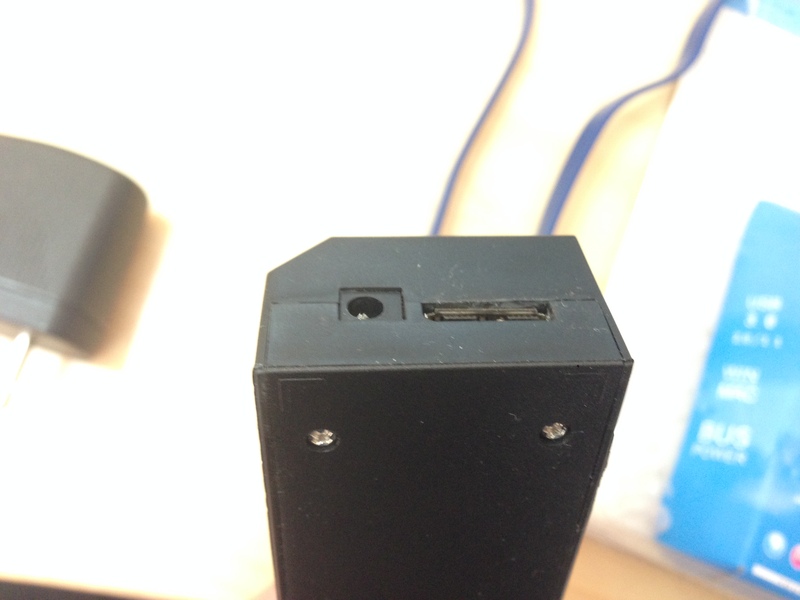 This is where powered hub comes is and fixes that problem by providing additional power to your USB Devices. When you purchase a USB HUB especially like mine 7 Port USB 3.0 you will need that extra power especially without addition power you will not be able to use all 7 Ports. 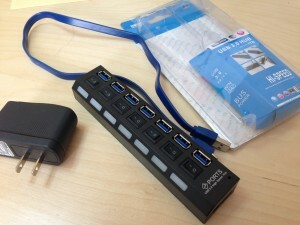 The USB 3.0 Hub that I purchased is a NO name USB Hub. The box states that it is Win/Mac Compatible and that it supports windows 7. When I finally got it I was so excited and I will be able to plug in all my devices and any future devices I will have. This particular Hub has 7 ports, Light indication that indicate when a device is ON and a ON/OFF switch for each port just in case you want to leave your device plugged in but you don’t want it to be used. 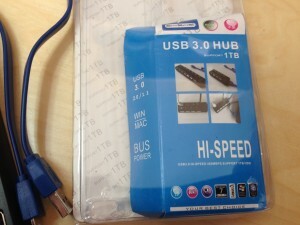 The Hub came with USB 3.0 2 feet cable and 4A power supply. The thinks that it did not come with was any CD or manual. No big deal Right? Wrong!!! I quickly unpacked it and plugged it in to a USB 3.0 in the back of my PC and connected the power supply to AC outlet. The computer recognized that it is a Hub and started to load Drivers but after one minute a notification came up stating that the device was not installed correctly. The box stated that this Hub supports Windows 7 but the problem is that I have Windows Vista Professional 32Bit installed on my system. I automatically knew that the problem is that I need to find a driver for this Hub. After spending some time on the web I was able to find something similar to what I was looking for. I found a Driver On Lenavo website USB 3.0 Driver for Windows 7 (32-bit, 64-bit), Vista (32-bit, 64-bit), XP – ThinkPad which I installed and my USB 3.0 Hub Started working. If you are need a driver for your USB Hub than CLICK HERE to Download USB 3.0 HUB Driver directly from Lenavo Website. I hope this fixes you USB 3.0 Driver problem.